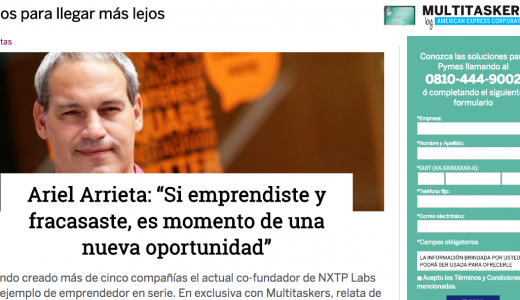 Be my guest and read the interview performed by Mariano Ylarri for Multitaskers, Amex Corporate’s online mag. This entry was posted in Entrepreneurship and tagged Amex Corporate, Mariano Ylarri, Multitaskers by editor. Bookmark the permalink.